Let’s agree to the fact that we have all seen our mothers and fathers worrying over the increasing number of grey strands on their head. Although, NOW, I see grey mane becoming a trend but the majority of our older population still likes to keep those grey strands under cover with a coat of colour. Today’s youth too is facing early greying for various reasons, stress being one of them. I have seen my friends fretting over that single grey strand that has cropped up in their otherwise charcoal black mane (I too freaked out when I saw the one and only grey strand in my hair). And at 24 they definitely do not want to flaunt a grey mane. That is when hair colour comes to their rescue. Traditionally a lot of people used henna or mehendi (natural dye prepared from plants), for its nourishing qualities and the colour. But no one with a white/grey mane wants to adorn an orange coloured head anymore. However, they are also extremely hesitant about the hair colours available in the market. Besides the ones facing the grey hair blues, women today, otherwise also want to add a streak of colour to their hair to make a statement. And I say why not? If something makes you feel good about yourself, just do it! While some go ahead with it, the others remain apprehensive about the after effects and the maintenance. Sadly none of them has got the expert advice, guiding them about hair colour. 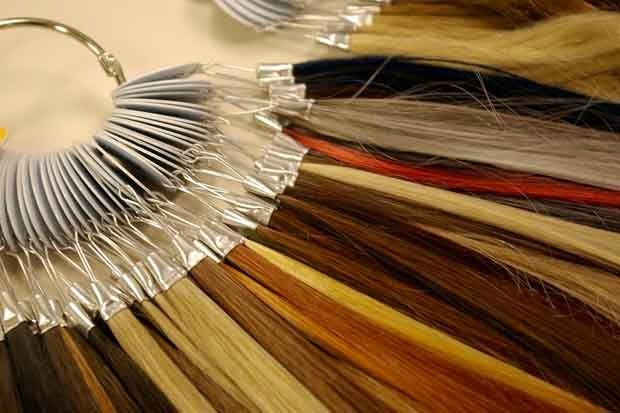 But ladies and gentlemen, you have now got the perfect opportunity to get all your queries about hair colour answered. Wella, in association with Ripple Links gives you a chance to interact with Maria Castan, a Senior Scientist at Procter & Gamble from Darmstadt, Germany and to find out the Truth Behind Hair Colour. So, if you have been torturing yourself keeping those hair colour worries tucked in a corner of your mind, now is the time to get some guidance from the expert herself. If you have any questions regarding hair colour be it the appropriate colour for your skin tone or its application or the tips to maintain coloured hair, feel free to post it on the blog. They will be answered soon. P.S. : the answers might give you the courage to go the salon and get that perfect coloured mane that had only been a pipedream until now. Is there a difference in the hair quality/texture of men and women and how does that govern their hair colour choices? is it safe to use hair colour after every 15 days and what should we do to keep them soft as after haircolouring, the hair become dry and start falling.